CHECK OUT BRIT DARBY’S LATEST RELEASE! 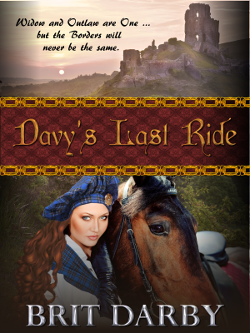 A daring Scottish widow strikes back at injustice the only way she can—from the saddle. 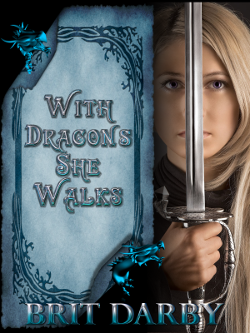 Border reiver Davena Elliot can outride any man alive, but soon discovers she can’t evade her own heart. Tevish McBride has served the Stuart Crown for most of his life. Now he must take down the wiliest reiver of them all, while hiding a dark secret from his own past. Davy’s Last Ride gallops from Scotland’s harsh borderlands to the intrigues of King James’s Court, a historical drama that soars when a woman born to ride crosses paths with a man sworn to serve.